(CNN) — Seven-time world champion Michael Schumacher is to return to Formula One next season to drive for Mercedes, the German carmaker announced on Wednesday. The 40-year-old German, who retired in 2006, has agreed a three-year contract with the possibility for a further extension according to his agent Sabine Kehm and will be on the grid for the curtain-opening Bahrain Grand Prix on March 14. 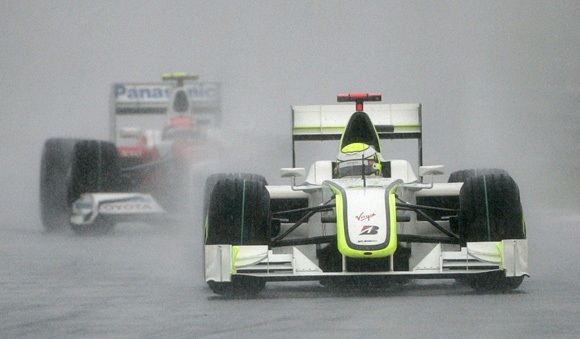 Schumacher, who was unveiled at the team’s factory in Brackley, will join compatriot Nico Rosberg at the former Brawn GP team, who were taken over by Mercedes at the end of last season having won the constructors’ and drivers world championships. “After a three-year break, I have all the energy again that I was lacking,” Schumacher told reporters via a teleconference call. Schumacher, who won five of his world titles with Ferrari, attempted to make a comeback for the Italian team last year in place of the injured Felipe Massa, but a neck injury sustained in a motorcycle race thwarted his return. 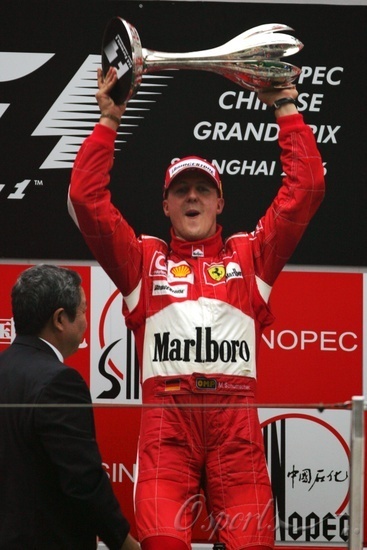 However, Schumacher moved to quell doubts over his current ability to race: “My neck is no longer a problem,” he said. “Over the summer it was too soon after the accident. 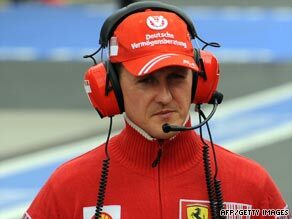 Now everything has healed,” said Schumacher, who will have his first practice session with his new team on February 1. “I have decided to return to Formula One. Mercedes GP and I agreed on teaming up for the coming seasons. And to be honest, I’m already super excited by the prospect to be back in a F1 cockpit,” he added on his official Web site. “I don’t want to deny at all that the idea of a German F1 team extremely tempts me. I guess every German driver would feel this way. And of course it plays a major role that I again can work together with Ross at Mercedes GP. Above all, however, my old hunger for racing is back — I realized that my old passion was returning. Suddenly I was on fire again,” he added. The comeback is just the latest chapter in a remarkable career for the driver who currently holds the record for grand prix wins (91) and most world titles. His return, just 11 days short of his 41st birthday, will easily make him the oldest driver on the grid and will leave Schumacher aiming to match the feats of former great Juan Manuel Fangio of Argentina, who was a world champion at the age of 46 in 1957. Rumors have been circulating for several weeks that he would return instead with Mercedes, where he will be reunited with team chief Ross Brawn, who helped to him to his string of five titles at Ferrari. Ferrari president Luca di Montezemolo told reporters at their Christmas lunch last week that Schumacher had revealed to him he was close to a return with Mercedes. Schumacher, who has acted as a consultant with Ferrari since he retired, will be ending a 13-year association with the famous marquee, but with the returning Massa and new-signing Fernando Alonso in their line-up for 2009 that route to return was blocked. His aborted 2009 comeback created worldwide interest and he said then that abandoning his plans was one of the most disappointing moments of his life. But Schumacher has worked his way back to fitness and put on an impressive display in the Race of Champions exhibition in China in November to underline his readiness for a new comeback. The confirmation of the world champion’s return caps a good week for the fledgling Mercedes team, who announced a long-term sponsorship agreement with Malaysian national oil and gas company Petronas. From 2010, the new “Silver Arrows” team will compete in the World Championship as the Mercedes Petronas Formula One Team according to statement on their official Web site. 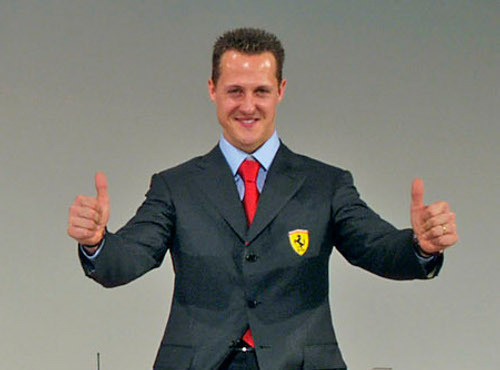 (CNN) — Seven times world champion Michael Schumacher will make a dramatic return to Formula One as a replacement for injured Ferrari driver Felipe Massa. Michael Schumacher will make a dramatic return to Formula One as a replacement for Felipe Massa. The 40-year-old German, who retired from the sport in 2006, won five of his seven titles while competing for Ferrari, and has retained his links with the Italian manufacturer as a team advisor. Schumacher told CNN: “The most important thing first: thank God, all news concerning Felipe is positive. I wish him all the best again. “I met Stefano Domenicali and Luca di Montezemolo from Ferrari on Wednesday afternoon and together we decided that I will prepare myself to take Felipe’s place. Ferrari later confirmed Schumacher’s return in a statement: “Ferrari intends to entrust Michael Schumacher with Felipe Massa’s car for as long as the Brazilian driver is not able to race. Meanwhile, Massa has been moved out of intensive care at the AEK military hospital in Budapest, with his personal doctor convinced he will race again. Massa’s rapid improvement since undergoing surgery on Saturday to repair a fractured skull following his crash during qualifying for the Hungarian Grand Prix, has prompted doctors to move the Brazilian to his own private room. It means Massa is now off the critical list, although the 28-year-old will continue to be closely monitored by medical staff. Initial fears that the Brazilian may never drive again, due to concerns surrounding the sight in his left eye, also appear to have eased. Ferrari spokesman Luca Colajanni told Press Association Sport: “The most important situation is that Felipe is out of intensive care and now in his own private room. “He is speaking more or less normally and he has managed his first few steps so, from a clinical point of view, everything is going in the right direction. “There are no issues for the time being, and although we are still cautious, he is getting better and better. The situation is improving all the time. Meanwhile, Massa’s own doctor, Dino Altmann, has told Italian sports newspaper Gazzetta dello Sport that he believes the Brazilian’s Formula One career is far from over. Altmann also believes fears surrounding Massa’s left eye, seemingly damaged after he was struck on the helmet by a suspension spring that had worked free from Rubens Barrichello’s Brawn GP car, have eased. “Stimulated by the physiotherapist, he showed he knows left from right and has full awareness of distance and depth,” added Altmann. “His eye has been opened, with care because it is still swollen, and he has said he can see. His vision has not weakened. Ferrari team principal Domenicali told reporters that he has been amazed by the rate of recovery, prompting him to return to Italy. “It’s a fantastic improvement. Only days after the crash he’s made encouraging progress,” remarked Domenicali. 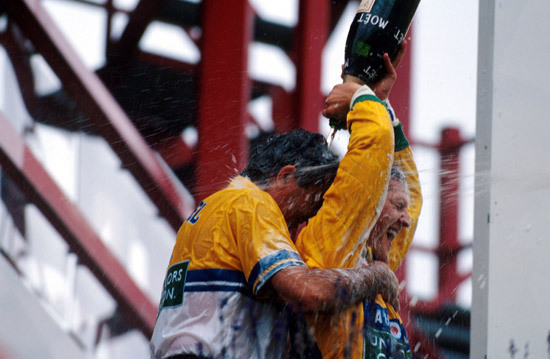 “He recognised me, I greeted him and I brought him all the team’s and the fans’ warmth and support. He replied to me in Italian, after he had spoken to his family in Portuguese. He told me he can’t remember anything that had happened: that’s a good thing. Domenicali has confirmed there are no issues surrounding Massa’s return, with the seat being kept warm until he is fit again, although refused to comment on reports linking former world champion Michael Schumacher with a temporary return. “I confirmed to him we are looking forward to his return soon, that the car is his, and that as soon as he’s ready he’ll be back with us once again,” added Domenicali. Former Ferrari team principal Jean Todt has resigned from the Ferrari board of directors and from the various positions he still held with the Italian firm. Todt was a key figure in Ferrari’s recent Formula One success, winning championships with Michael Schumacher and Kimi Raikkonen. Announcing the news on Tuesday, Ferrari Chairman Luca di Montezemolo paid tribute to the contribution made by Frenchman Todt since he joined the company in 1993. “Jean Todt has been one of the leading protagonists of the Ferrari story of the last 15 years,” declared Montezemolo. “Skill and passion have always characterised his work and have won him my persona respect and affection, the one of the Company as a whole and of the Prancing Horse enthusiasts everywhere. 皮皮王 on What’s Permanent in Life?